Why do I delay my citizenship application? I’ve been eligible for Australian citizenship for over four years and yet I still I haven’t applied. In fact, I haven’t done a thing. This seems odd. Doesn’t the whole world want to move over here? Aren’t people jumping aboard rickety boats, making perilous journeys across choppy seas for the chance – faint though it now may be – to call themselves ‘Aussies’? Seven years ago, I got taste for it when I attended my wife’s citizenship ceremony in the Sydney Town Hall. There we were seated in a room packed with would-be Aussies of every denomination, ethnicity, faith and sexual persuasion, all full of joyous anticipation. My principle memory of that day is not of my wife’s beaming smile as she received her certificate from Lord Mayor Clover Moore, but of a middle-aged, Middle Eastern-looking man who leaped up weeping with joy as his name was called out, completely overcome with emotion. There were tears in everyone’s eyes as this humble man-made his way to the stage, embraced the diminutive Lord Mayor, yelping and hooting and proclaiming with joy: I am an Australian. I can only begin to imagine the journey he had made from a life of struggle, possibly horror and brutality, to sit in a wood panelled room above George Street in the middle of one of the world’s friendliest, safest cities and take his place among the 23 million privileged citizens of this Great Southern Land. I was jealous. 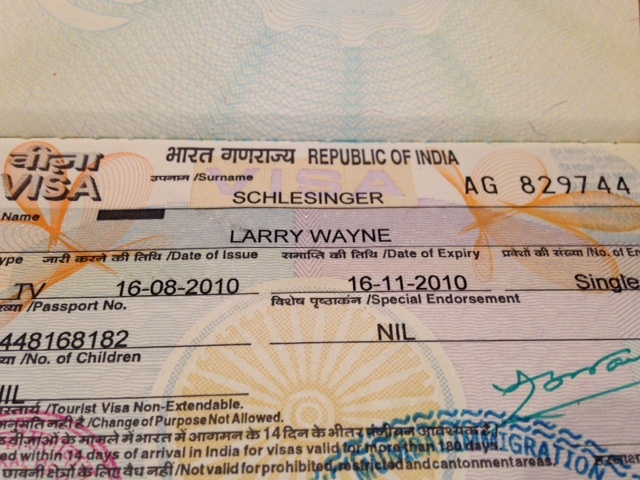 Not even a permanent resident back then, living on a 457 work visa, I longed for the time when I would hear my own name being called. Time has passed. I am now, through marriage, a permanent resident and have been eligible since about April or May of 2011 for citizenship and an Australian passport. But apart from printing out the booklet that you’re supposed to read before doing your citizenship test, I’ve done nothing about actually applying. Perhaps, I’m just addicted to those colourful visa stickers that have filled up my South African passport for more than 20 years. 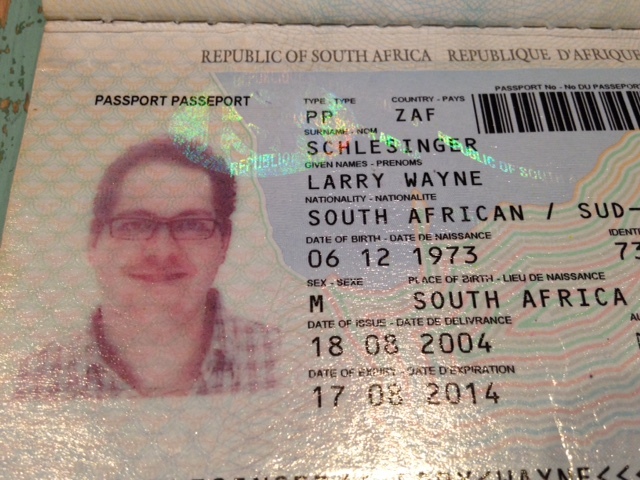 Indeed, I almost wept with joy when I found by chance after more than two years of looking, an old South African passport of mine that I had given up as lost. 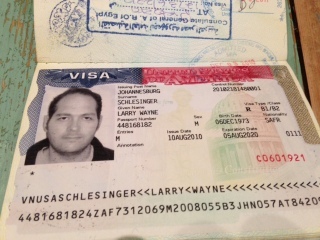 It was the one I used on a round-the-world trip backpacking trip I made with my wife in 2010 (a trip I faithfully recorded in a blog called the BEEG Adventure) The passport with the coat of arms long since faded was buried between the pages of a car manual in the glove compartment of our Ford stationwagon. I found it in February, when we were trading in our car. It’s jam-packed with colourful visa stamps from Europe, the USA, Morocco, India, Egypt, Turkey and Thailand, tracing the journey we took over the course of a year, a fine souvenir. 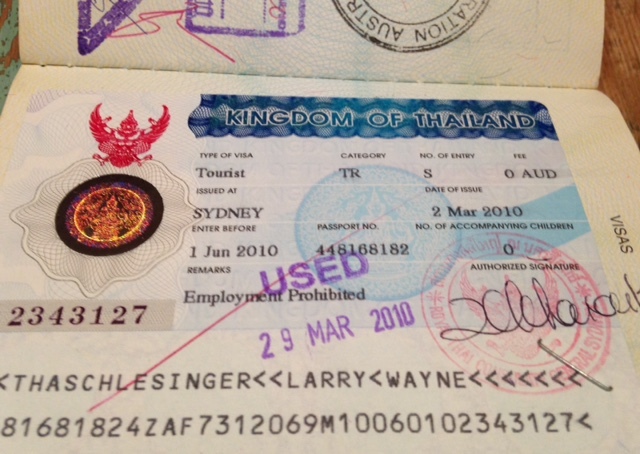 It eventually became so full of visa stamps that I ran out of blank pages and I had to get a new one. My nostalgia aside, becoming an Australian citizen would entitle me to an Australian passport and my visa application days would be a thing of the past. I would also be proud to be an Australian having put down roots here for more than a decade, gotten married, had Australian kids and forged a career and a good life. But the paperwork, form-filling and document gathering required (I must also apply to the South African government if i wish to be a dual citizen) put me off time and time again. Perhaps, also, on some subconscious level I feel uneasy about becoming an Australia . For I feel revulsion at our refugee policies and those poor, desperate asylum seekers locked away in secret and in miserable conditions with little hope to cling to. Perhaps, they are more deserving then I of that coveted citizenship? Perhaps this is some form of protest? Maybe this is not the greatest country in the world after all, despite what those liveability surveys may say. It was with great sadness tinged with a palpable nostalgia that I learned of the passing of South African cricket all-rounder Clive Rice. 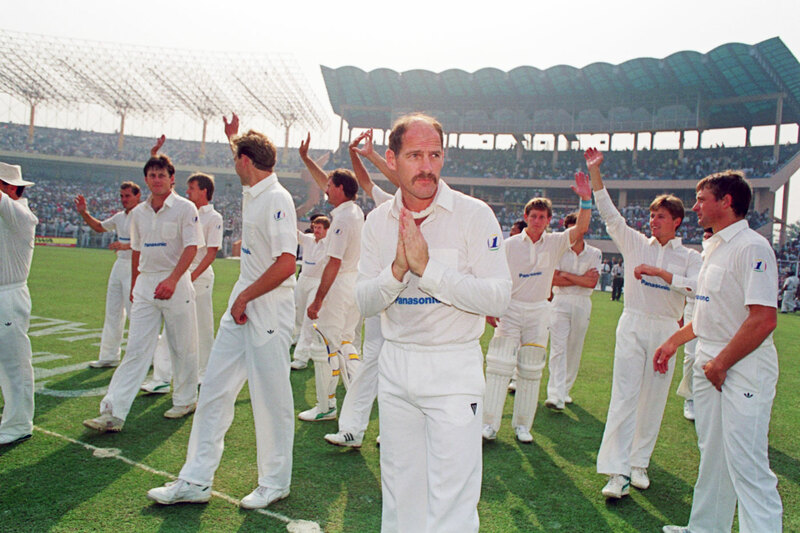 The sadness was understandable – Clive Rice was one of the country’s all time sporting heroes. But the nostalgia caught me by surprise. The truth is I’d not thought about Clive Rice or indeed any other of those “great” players from my childhood for a very long time. To be honest, I didn’t even know that Clive Rice had been so unwell and for such a long time. But his passing at the relatively young age of 66, brought back a flood of memories both personal and sporting. In my memories of growing up in Johannesburg as a privileged white kid, Clive Rice, with his handle bar moustache, balding head, unflappable demeanour and larrikin nature looms larger than a life, a sporting hero during a time when we were isolated from the world game. I remember him as both a fearsome all-rounder – able to rescue a middle order collapse with his batting or destroy the opposition with his fast bowling, in particular those deadly in-swinging yorkers. He was also a formidable leader of province (Transvaal), county (Nottinghamshire) and country (South Africa during the rebel cricket tours) and could – I believe – have guided South Africa to that elusive World Cup had we been allowed to compete. Sadly, despite his sporting talents, Clive Rice was denied the opportunity to prove himself on the world stage because nearly all of his long career – he retired in his early forties – coincided with South Africa’s banishment from world cricket. Indeed he was picked for the South African tour to Australia in the early 1970s that was later cancelled, heralding our sporting isolation for two decades. 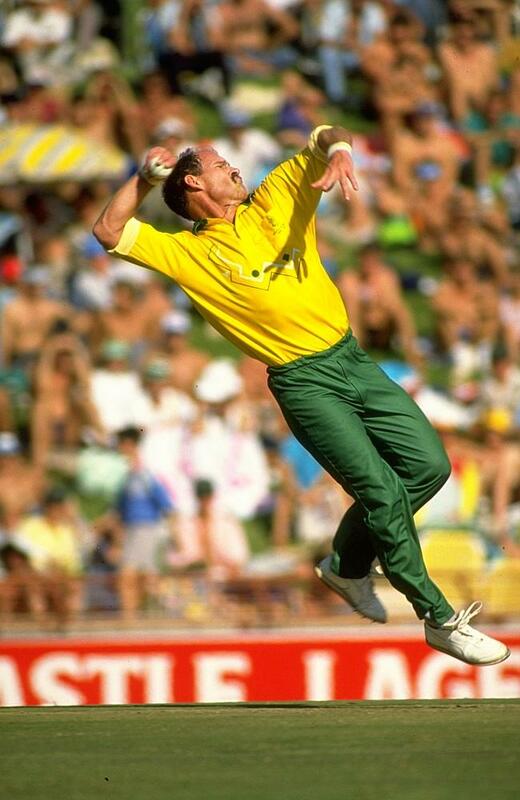 He played just three one day internationals and no official test matches, captaining South Africa on their historic return to world cricket in India in 1991. His first class playing record speaks for itself. Twenty-six thousand odd runs at an average of 40 and nearly 1000 wickets at average of just 22. Not many modern-day cricketers can boast a record like that. Rice, had he played a full international career, would have been comparable to the best in the game: Imran Khan, Ian Botham, Richard Hadlee and Jacques Kallis. As I read the numerous articles of tribute to Clive Rice – and deservedly there were many like this great piece by South African journalist Luke Alfred for espncricinfo.com – I found my mind drifting back more than twenty years. I am 13 or so years old. A nervous, awkward kid in owl-shaped glasses and a dorky t-shirt. It’s Saturday. A gorgeous Johannesburg summer morning. A light breeze is blowing and there’s clear blue skies, about 22 degrees. I am sitting with my dad in the old wooden bleachers at the Wanderers stadium – long before they were replaced them with bucket seats. We eating our homemade sandwiches and taking turns with the binoculars. I’m thumbing my way through the match day program studying the player profiles while my dad reads the Citizen newspaper and sips from a can of TAB. Clive Rice is there of course, commanding his troops on the field as fearsome West Indies quick Sylvester Clarke or Spook Hanley or Neal Radford steam into bowl for Transvaal, the unbeatable ‘Mean Machine’. Or perhaps he’s in the dressing room as Jimmy Cook, Graeme Pollock or Alvin Kallicharran bat us into a commanding position. At the lunch time break we walk onto the field to inspect the pitch (these were the days when you could still do that) as informal games of cricket are played against the advertising boards. Then we stroll around the ground – my dad and I, perhaps both wearing denim shorts – as the smell of boerewors and steak waft into the highveld air from smokey braais. A thrill for me: spotting some of the players as they stroll past us on their way to lunch in their cricket whites, gentleman warriors from a tribe of sporting gladiators. Other sporting memories crowd in: Afternoons watching Currie Cup rugby on the sofa eating biltong and naartjies (Mandarins). Getting into arguments with my younger brother as Spurs lose again to Man United. Trying to study for exams while Wimbledon tennis is on TV. Watching the rebel cricket tours. Watching Australia thrash England in the Ashes again. And then Clive Rice returns again to my thoughts. To those momentous days in November 2001, Mandela a free man, the country on a shaky path to freedom as he leads an awed team of old and new players back from the sporting wilderness in front of those huge, adoring crowds in India. Though he hopes to play in the 1992 World Cup in Australia, these are the final days of his great career. There he is with the handle bar moustache, the suavity, the grin and almost completely bald head, but just as cool as I remember him from those days when he was one of my sporting idols. Rest in peace Clive. Thanks for the memories, both yours and mine.